IFT was approached once again by Robertson Construction to provide flooring services for the new Audi Garage in Aberdeen. 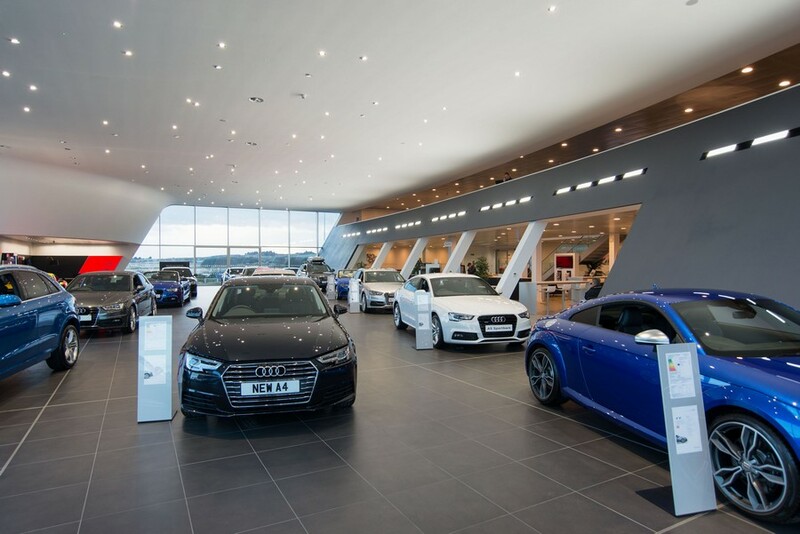 The prestige Audi dealership in Aberdeen has a showroom, workshop, used car pod and valet building. Several innovations were used during the project to deliver the necessary quality, meet strict brand guidelines and deliver the project within a tight schedule. IFT prepared the substrate and supplied and layed one coat DPM and SL screed bonded to the substrate followed by installation of 12mm thick Glamourstone system. IFT also installed 210sqm of Mapei Ultraplan Renovation Self Level screed onto two coats of DPM. These levelling works provided an SR1 finish to successfully accommodate a tiled floor.